My daughter has instituted a new tradition for our family gift giving at Christmas. Who knows, maybe it will carry over to birthdays, anniversaries and other times of gift giving. I hope it does. It all started when I got an email at work this week from the county Office of the Aging, announcing that we could pick up an ornament from the tree in the lobby with an anonymous senior’s Christmas wish list. These seniors selected might not otherwise get anything for Christmas. I forwarded the email to my son and daughter. Both replied that they wanted me to pick them up an ornament. My daughter then announced that in lieu of a gift to them, she and her husband would like to have me donate to a charity in their name and put a note under their tree with the details of the donation. She said that would mean more to her than material goods because she has already been blessed in so many ways, and she would like to bless others not so fortunate. I replied that it was a great idea, and I would like to be included. I then asked my husband and son what they thought, and they agreed. We all know examples of others who have given selflessly to those less fortunate. One example that comes to mind is Sue from Pennsylvania. When she was employed at a law firm, every year the employees would get a wish list of things from a charity organization that an anonymous less fortunate family would enjoy for Christmas. The employees would purchase all the items and give them to the charity, which would give the gifts to the family. One time Sue and another employee purchased a new bike and helmet for one of the children. What a blessed Christmas that child surely had. As Sue says,”Paying it forward is not only a great thing to do for ourselves, but what a great lesson to give to our children about the beauty of giving to others who are so less fortunate than ourselves.” Well said, my friend. My daughter told me that our local food pantry is almost empty. She was told that one family couldn’t get to the pantry because their car broke down so they went hungry. She went to the grocery and bought food and brought it to the pantry. I plan to do the same this week. There are a lot of people who are going hungry in this economy. With the holidays approaching and the schools closed, there will be children going without food at home who would normally get their free breakfast and lunch at school. What is your new Christmas tradition? I’ve been working on this post for a few months, but other topics kept pushing themselves to the front of the line. On 11/7/13 @MHoskins2179, @txtngmypancreas, and @AMNimlos used Twitter to brainstorm the idea of having custom-made pumps. Argh! My idea was going mainstream! I immediately called my lawyer, filed my patents, and got back to work. A few weeks later I have gotten no indication that the interlopers have backed down and I guess we’re at an impasse. Consider Microsoft vs. Apple, Dell vs. Gateway, Best Buy vs. Circuit City, Target vs. WalMart and if you’re still interested, I have a bridge in Brooklyn I’d like to sell you. I’ve decided to buy a custom-made pump. No pump on the market has all of the features I want and many of them have features that I definitely don’t want. So I’ve decided to do what we used to do for many of our family’s computers. I’m going to find a small, reliable company to assemble a pump with the hardware and software from various pump companies as specified by me. Working with the Comparison of Current Insulin Pumps at Diabetes Net, I’ll select components line by line. I’ll also include some features that are not available on current pumps, but should be. When I’m finished, I’ll look forward to having my ideal pump. Size and Shape: Because I don’t mind tubing and prefer small infusion sets in contrast to the size of even the newest Omnipod, Insulet will end up having no presence on my custom pump. Although I like the idea of the smaller and lighter Asante Snap, I plan on having an integrated CGMS and will need a larger screen. So I choose the Tandem t:slim for its sleek modern look and the largest useable screen. Touchscreen or Buttons: This is an easy choice. I will go with the Tandem touchscreen where I can enter numbers on a keypad rather than scrolling up-down-up-down and continually missing my target number. My Animas Ping requires even more scrolling than my Medtronic pumps did and has a bad habit of continuing to scroll after I release the button. Almost anything will be an improvement for me over the Ping. Screen: I enjoy the readability of the black background with bright color screens of my Ping and Dexcom G4 and I will continue with color. The downside of these screens is the difficulty of seeing some of the colors in bright sunlight and Medtronic boring gray does have some merit. I don’t know how color is used on the t:slim, but I do like how the Ping uses white text with colors for highlighting. The white text is much easier to read in sunlight than colors such as red. Whoever chose red for the numbers and graphs depicting lows on the Dexcom did not do their homework. Check out my blog post from 8/29/13. Basal and Bolus Increments: in most areas, I would be happy with the rates of Animas, Medtronic, or Tandem. I would definitely like the t:slim’s options for temporary basals because I am frustrated by the Ping which only allows 30 minute increments. Even 15 minute increments per the Asante Snap would be fine. I also like the Medtronic option of setting temporary basals as either an exact basal rate or a percentage. Bolus Calculator Options: There is no pump that has exactly what I want. I want a straightforward and streamlined menu system where I can calculate and administer bolus insulin logically and quickly. According to Wil’s 7/22/13 post at LifeAfterDx, the Asante Snap requires only 6 steps versus the 14 steps of the Tandem t:slim to bolus for a meal. Tandem has fallen for the FDA-endorsed idea that users actually pay attention to the warning and “Are you sure?” screens that pop up on their pumps. If the FDA knew how little most users paid attention to safety screens and warnings, they probably wouldn’t allow any of us to use a pump. I was satisfied with Medtronic menu system and totally hate navigating through the Ping system. So I will check out the Asante menus and either select that or Medtronic. Power source: For this line item I am definitely in the battery camp and have no interest in a rechargeable pump. I can’t count the times that I have been unable to use my Verio meter because I ignored the charging warning. Same with my battery powered toothbrush. Compared to the price of most of my diabetes supplies, a battery is a cheap power source. I have carried an extra pump battery in my meter case for years and I feel more confident in this back-up plan than the idea of finding a cord and power source to recharge my pump. Motor and Memory: I don’t know enough about pump motors to have much preference. As far as memory, it looks as though the Tandem keeps the most info. So I’ll go that direction and try to convince myself to download my devices more often. Software Download: I haven’t seen Tandem’s software, so I’ll be conservative and go with Carelink. 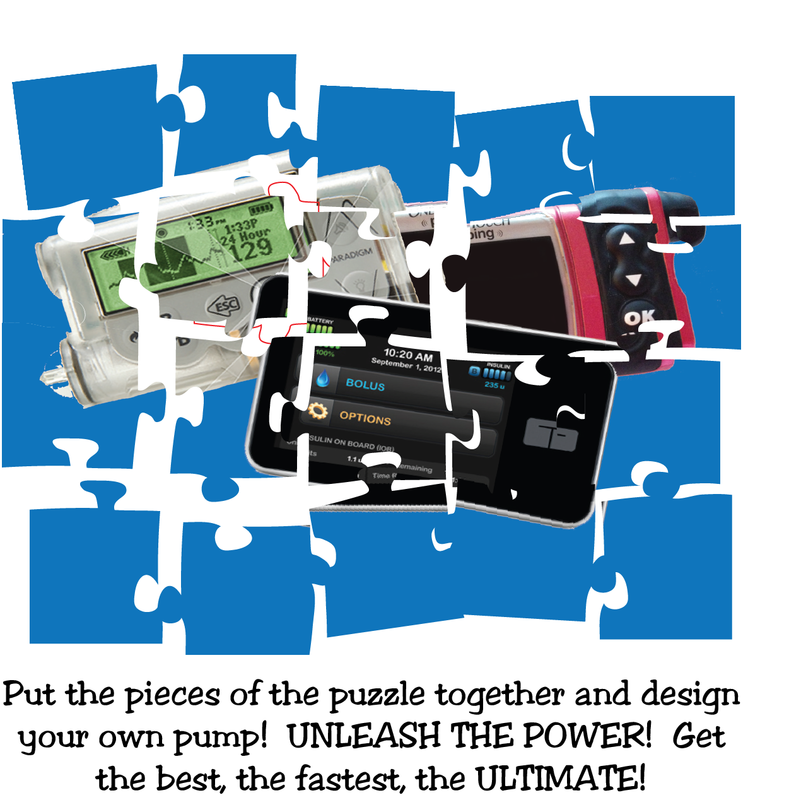 The one requirement for my pump software is that it be compatible with all of my devices regardless of brand. And it should work like my Fitbit with all devices automatically downloading with Bluetooth. Waterproof: I’m not sure that the Animas Ping is really more waterproof than other pumps, but I appreciate the fact that because they guarantee the replacement of my pump if I have water damage. So I’ll stick with Animas. CGM: Although I know that Medtronic’s Enlite sensor is a huge improvement over the previous Sof-sensor, I am committed to a Dexcom CGM for my pump. But I want Medtronic software to integrate the CGM readings into my pump.. As much as I like Dexcom, I miss the information that is readily available on Medtronic pumps. I like that you can scroll backwards in time and see actual sensor values rather than just graphs. I like predictive alerts and missed those when I switched to Dexcom. Blood Glucose Meter: In an ideal world, all brands of meters would be compatible with all brand of pumps and have universal connectivity. I find Freestyle to be the most accurate for me and I will stick with that. Summary: The whole idea of a custom-designed pump is a pipe dream. We will never see online promises of build to order, unleash the power, get the best, the fastest and the ultimate pump. Because I have rarely had a computer work properly for four years, I know that I should appreciate the FDA review of our pumps. At the same time I am frustrated with the sub-optimal and old-fashioned devices that are compromises between safety and good design. But I can’t complain too much. 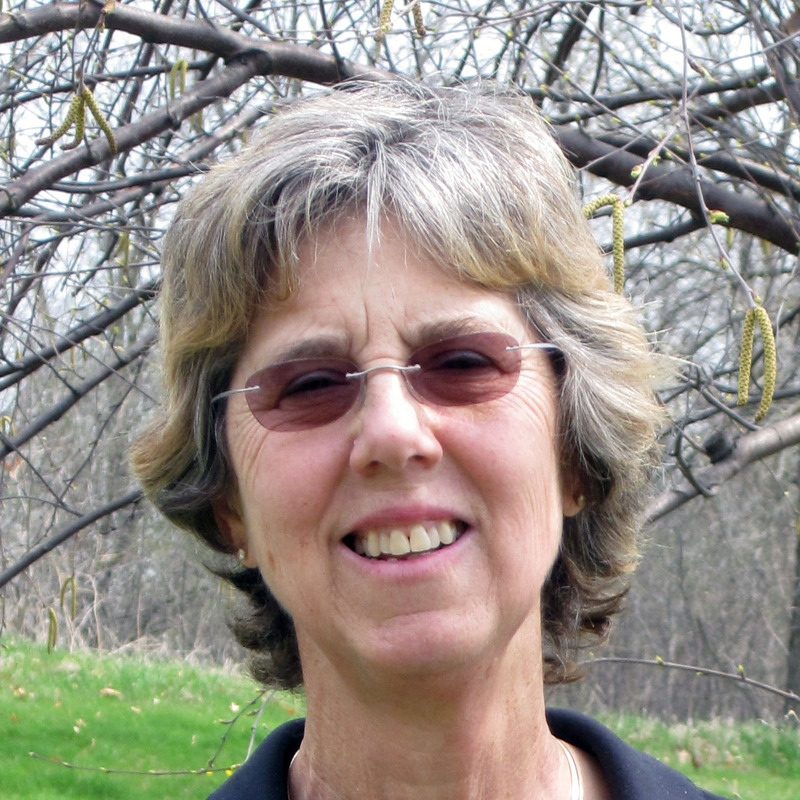 I started my diabetes career thirty-seven years ago peeing on strips and taking insulin once a day. I am a happy camper with my Animas Ping, Dexcom CGM, and Freestyle meter. But a girl can dream, can’t she? Saturday I attended the 5th annual Reach & Teach sponsored by the MInnDakotas chapter of the JDRF. The event was a family event with children participating in a KidsKamp while their parents visited vendor booths and attended educational sessions. The JDRF has been working hard to include adults with Type 1 in its mission and the event had plenty to offer T1 adults. 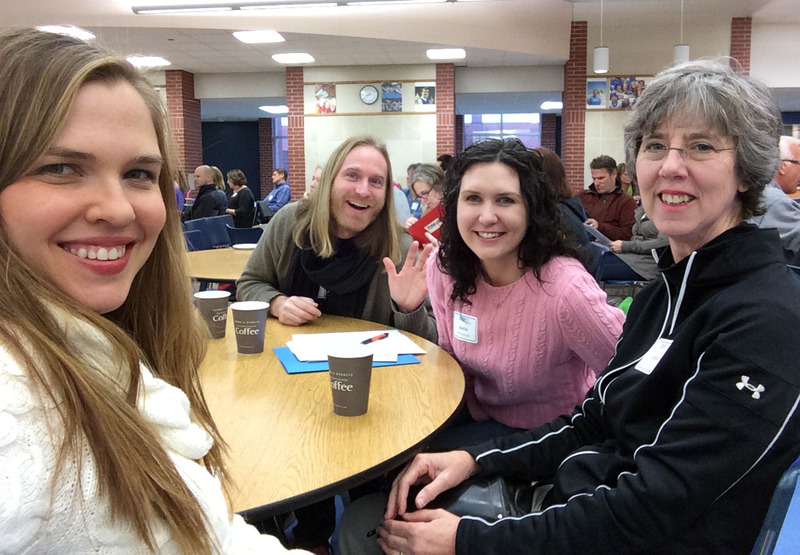 Many of the adults who attended are part of the local JDRF Adults with Type 1 support group and it was a day of fun meet-ups and conversations. Kerri Sparling, the rock star blogger from Six Until Me, was the featured speaker for the event. It’s kind of a “duh” thing to say, but in person she is just like she is online. She sparkles, she is witty, she talks fast, and she draws you into her story to help you learn about your own. To the parents attending the opening session, she was proof and inspiration that their children with Type 1 will grow up to be happy and healthy adults. Later in the morning Kerri led a session addressing diabetes burn-out. She shared many moments of laughs and tears with the audience of adult T1s, parents, and a few adolescent T1s. She did a good job of involving the group and we covered an eclectic bunch of topics from Dr. Bernstein to bad relationships with doctors. To the 17-year old who shared her angst at the difficulty of trying to be perfect for her parents and doctors, you are brave and you are not alone. Your confession brought tears to my eyes and I hope that sharing your burden made it a bit lighter. The third session that I attended was The Use of New Media Sources for Diabetes Education and Care Delivery which was presented by two doctors from the University of Minnesota Pediatric Endocrinology Department. Dr. Brandon Nathan began his presentation with the fact that if you do a Google search for “Type 1 Diabetes Mellitus”, you will get 71,400,000 (!) matches. After that he did an overview of research validating the benefits of online education and care for patients with diabetes. Dr. Ewa Oberdorfer’s presentation highlighted her research work with T1 teenagers and the use of online contact and videos made by teens for teens to help improve the education and health results for this age group. 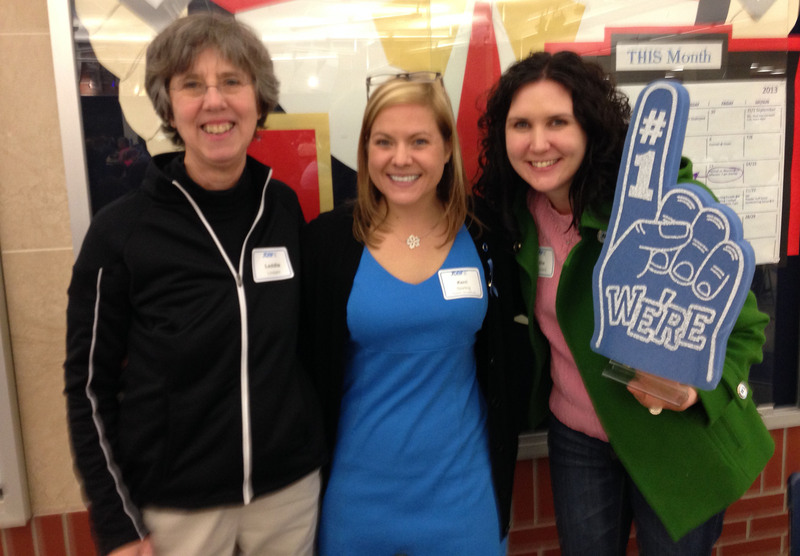 The day ended with a kick-off rally for the 2014 Walk to Cure Diabetes along with a box lunch. It was particularly nice to see salads and gluten-free options in addition to the standard sandwich boxes. Kerri joined a bunch of us for lunch and graciously donated her chocolate chip cookie to Doug (@salguodmai) who had broken the ice in the burn-out session by unabashedly proclaiming his love for candy and sweets. If you check out Doug’s blog, you can read his report of the day and see a few more photos. Some other blogger attendees were Katie from Diabetic Advocate, Cynthia from Diabetes Light and Finding Peace between the Pokes, and Mari Ruddy whose new blog is still in development. I have admired Mari for a long time from afar and was pleased to have the opportunity to meet her. It was a good day and thanks to the MInnDakotas JDRF for sponsoring such a high quality event. No one wants to have Type 1 Diabetes, but if you do, the Twin Cities is a good place to have it. We have a strong Type 1 community with lots of opportunities to learn from each other, support each other, and make friendships that are stronger than diabetes. We have an informal T1 get-together next Saturday, November 23 and a JDRF Adult with Type 1 meeting on December 16. If you live in the area and would like information on either of these events, please contact me. 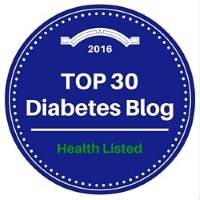 LADDIE: IN RECOGNITION OF NOVEMBER AS DIABETES AWARENESS MONTH, SUE FROM PENNSYLVANIA, Sue from New York, AND I HAVE WRITTEN BLOG POSTS WHICH WILL BE PUBLISHED THIS WEEK. Yesterday SUE FROM NEW YORK wrote ABOUT HER APPRECIATION FOR MEDICAL DEVICES THAT HELP KEEP HER safe. 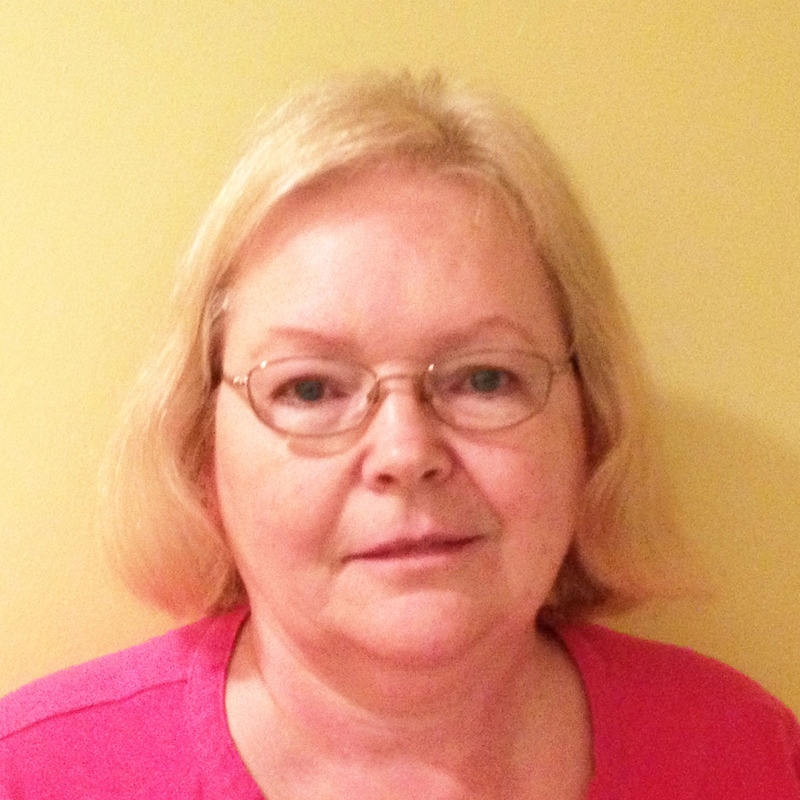 Today Sue from Pennsylvania writes about her journey learning about diabetes and why increased awareness about diabetes is important. Fourteen years ago when my husband was diagnosed with Type 1 diabetes, I had no clue exactly what that would mean for us. I was one of those people who thought that diabetes just meant no sugar. Quickly I learned that there is so much more to diabetes than removing sugar from your diet. The food that we loved to eat always included some type of pasta, rice or bread. Since I am the cook in our family (my husband’s culinary talents involve making either scrambled or over easy eggs), I had to become aware of the carbohydrate count of the meals that I was cooking. I can truly say that I found this then, and even today, to be a task that I do out of necessity but with no enjoyment whatsoever. I love to cook and experiment with new recipes but it’s a lot harder to do when you have to be aware of the amount of carbs in every recipe. An added challenge to my husband’s Type 1 diabetes is the fact that he has hypoglycemia and hyperglycemia unawareness. It seems as if almost all of our friends with diabetes are either Type 2 or Prediabetic and they don’t have a clue as to how difficult it is to be a Type 1 diabetic. They have no understanding of the daily fear and stress experienced by both my husband and me as a result of his hypoglycemia unawareness. None of them have ever seen someone go so low that he becomes unconscious. I had never seen this before either and I can truly say it is terrifying. One of my first blog posts ever was about the frightening experience of my husband’s first severe hypoglycemic episode. The daily care of Type 1 diabetes is incredibly daunting with monitoring blood sugar either by fingerstick or CGM (if you’re lucky enough to be able to get your insurance to pay for it), watching what you eat, and just plain being aware of diabetes all of the time. The reason why National Diabetes Month and World Diabetes Day are so important to me is that any awareness that we can bring to this illness is a positive thing. Anytime we can tell our stories to educate those who are uneducated (as I was) is a positive thing. I continue to be in awe of those men, women and children who have to deal with this condition on a daily basis because I know how difficult it is. 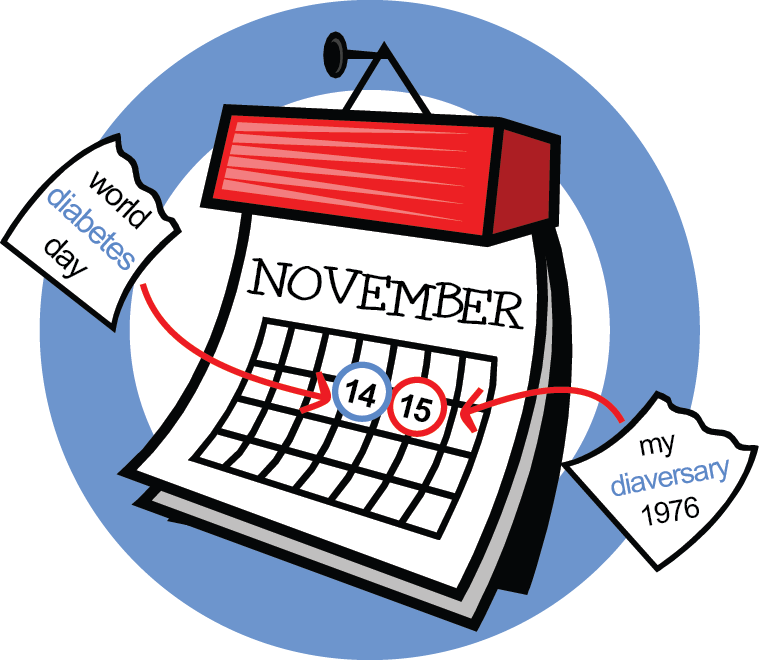 I have become aware and I’m hoping that by calling attention to diabetes during National Diabetes Month and World Diabetes Day, more people will become aware. That would be a good thing. 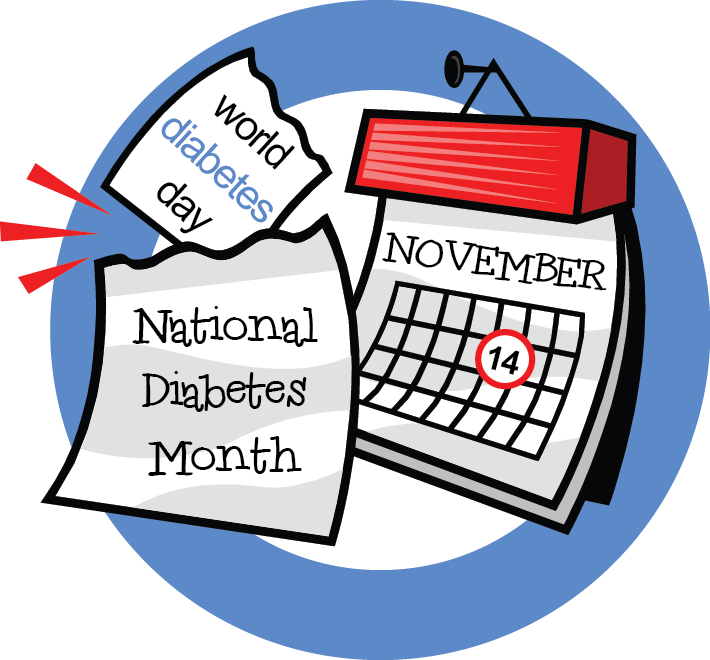 Laddie: In recognition of November as Diabetes Awareness Month, Sue from New York, Sue from Pennsylvania, and I have written blog posts which will be published this week. 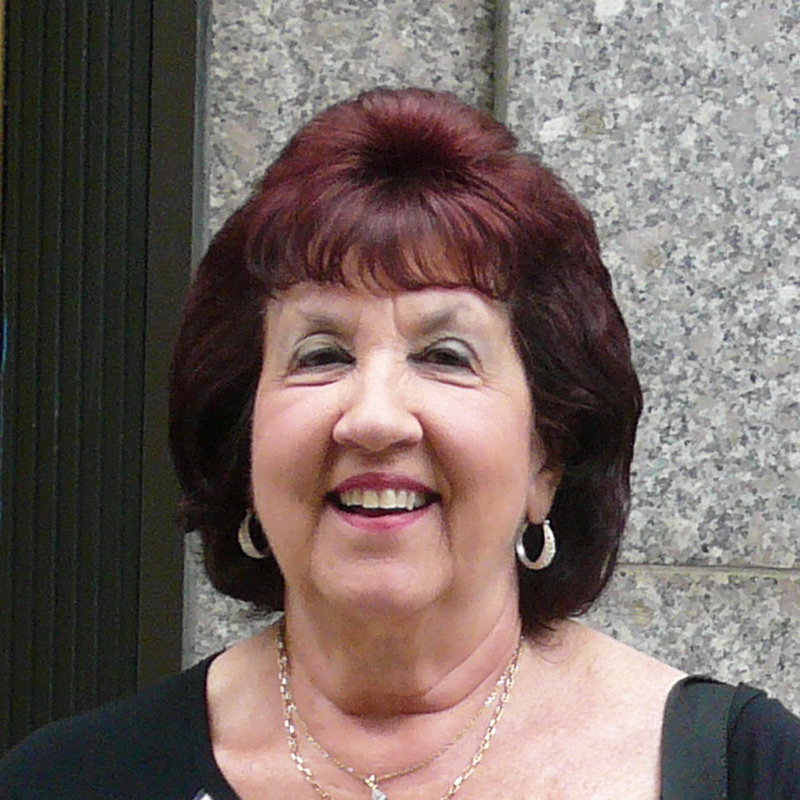 Sue from New York has written about her appreciation for medical devices that help keep her out of harm’s way. 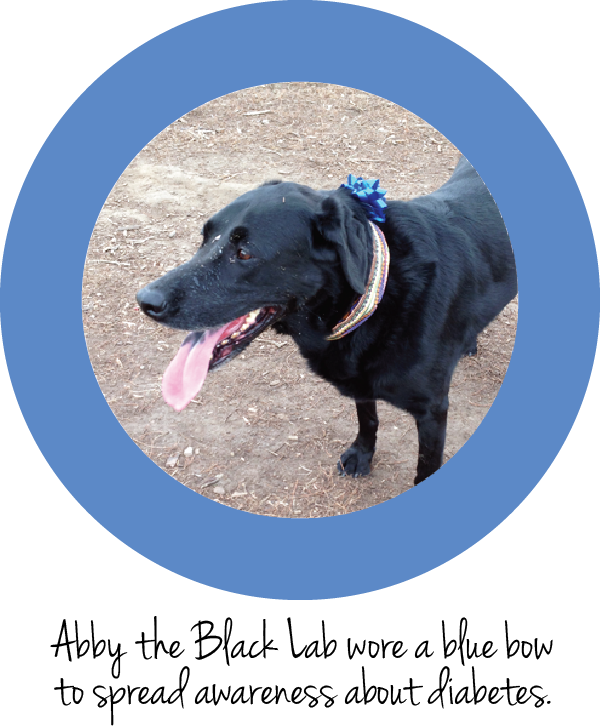 This is a companion post to her wonderful post about the families of people with diabetes. On August 19 I wrote a blog post titled The Saints We Call Our Family. 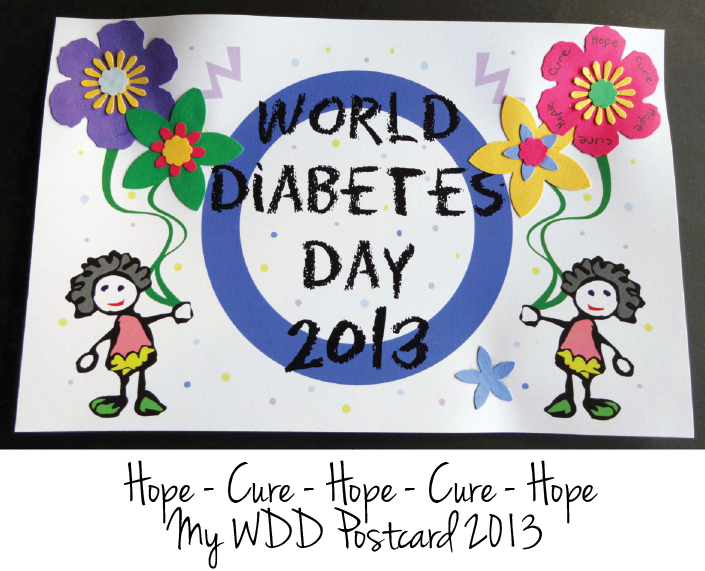 In this blog I praised the family members who vigilantly keep us type 1 diabetics safe. I failed to give recognition to the medical devices that also keep us safe. I figured that there was no better time than Diabetes Awareness Month to give credit to the diabetes hardware that helps keep me healthy year-round. 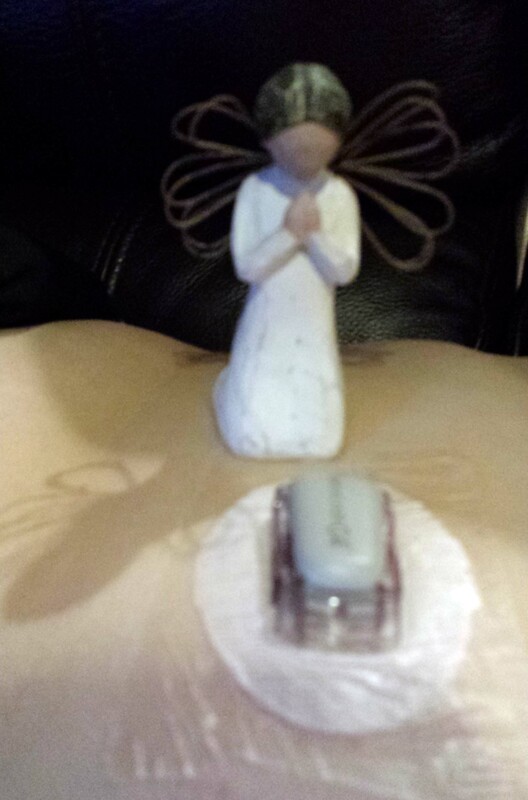 My Dexcom G4 Platinum continuous glucose monitor is one of my guardian angel’s helping hands. It keeps me safe from rising and plunging blood sugar levels by giving out loud alerts that wake me in the middle of the night. It gives me constant feedback on how food and exercise affect my blood sugar. It is truly a life saver for insulin dependent diabetics. My guardian angel’s other helping hand is my OmniPod pump. My pump has several useful purposes, one of which is calculating insulin on board so I don’t stack insulin when my blood sugar is high. My pump is also capable of giving me insulin in increments of five hundredths of a unit. That is an amazing thing, considering that insulin given by needle is measured by whole units. Both of these devices have helped ward off the terrible hypoglycemic episodes that I used to have in the past. Emphasis on PAST. It has been three years since I have had a hypoglycemic episode when I needed external help. My diabetes has been so much easier to handle since I’ve been blessed with these two miracles. Many of us with diabetes purchase our medical supplies and prescriptions online and have them shipped directly to our homes. There is nothing more frustrating than to come home from work and find your insulin on the front porch in -10 degree weather (Minneapolis in January) or +110 degree weather (Phoenix in July). Some of us have waited all day in an upstairs apartment for the arrival of a new pump only to find a sticky note at the building front door announcing a failed delivery attempt. Depending on where you live, these problems can be avoided with a little advance planning. I live in a suburb of Minneapolis and have both a FedEx Office and a UPS Store within 10 miles of my house. By using online tools and programs provided by FedEx and UPS, I am able to route my packages to these stores and avoid a lot of the frustration that accompanies botched package deliveries. Most of my medical supplies come from Edgepark and are shipped through UPS. I receive an email when my supplies ship along with the UPS tracking number. After that I benefit from a program called UPS My Choice. The slogan for this program is “Get Home Delivery on your Schedule.” You need to sign up for this program ahead of time and there is no charge for enrollment. With the UPS My Choice program you get free-of-charge delivery notices along with an approximate delivery time. You can use the Authorize Shipment Release to request that eligible packages be dropped off without a signature. Most importantly you get the ability to schedule a delivery time that fits your schedule, reroute the package to another address, or reroute the package to a UPS Store where you can pick it up at your convenience. If you enroll in the free version of the My Choice Program you must pay $5 each time that you use the reschedule or reroute options. When I know I won’t be home for a delivery that has a 3-month supply of test strips, CGM sensors, reservoirs, and infusion sets, it is worth $5 to me to know that I can pick up the package at the UPS Store without worrying about temperature extremes, theft off my front porch, or signature requirements. Another option is the UPS My Choice Premium Plan. An annual fee of $40 entitles you to unlimited reroutes and reschedules of your packages. Because I don’t use the service enough to justify the $40 charge, I choose to pay $5 per use. But if you have a home business or buy everything on Amazon along with lots of medical deliveries, this plan might be a better deal for you. FedEx has a program called Hold at Location (HAL) where you can ship or redirect a package to a FedEx Office location. When a package is set up for transit, you can have the sender select the HAL service. They would address it with your name, the address of the desired FedEx Office, and select Hold at Location. Many large companies won’t bother doing this for you and sometimes you don’t know ahead of time which vendor they are using to ship your package anyway. What I do with FedEx is wait until I have received the tracking number from the shipper. At that point I can go into the FedEx tracking site and select the option of redirecting it to a nearby FedEx Office location. This service is available for FedEx Express, FedEx Ground and FedEx Home Delivery packages. I can do this before any delivery attempt is made or after I have received a door tag when I missed the delivery. It is incredibly convenient and unlike UPS, there is no charge for this service. I reroute almost all of my temperature sensitive and/or valuable packages to FedEx Office so I don’t have to deal with staying home to accept delivery. When I signed up for UPS My Choice a few years ago, it took a day or two before my account became active. Therefore I suggest you sign up ahead of time so your account will be ready to go when you need it. With FedEx there is no requirement to register ahead of time. Be sure to understand the rules and restrictions of these programs. For example, FedEx Office will only hold your package for 5 business days and in most instances, the person to whom the package is addressed must pick up the package and show a valid photo ID. Know that not all packages can be released by an online signature if the shipper requires a delivery confirmation signature. To find out about or enroll in UPS My Choice, click here. To learn about FedEx Hold at Location, click here. If you live in a rural area/small town or have special needs and can’t find a solution online, call UPS (1-800-PICK-UPS) or FedEx (1-800-GoFedEx) to learn about how they can help you. Even if you can’t reroute a package to a store, you may have the option of rerouting it to another address or setting up a delivery appointment. There are many complications and frustrations in our lives with diabetes. Hopefully you can use options provided by UPS and FedEx to at least make receiving your medical supplies a little bit easier. Recently a friend was recalling a visit to the grave of his father-in-law. As he was looking at the headstone and saw the date of birth and date of death, he focused on the dash (-) between the two dates. It got him thinking about what went on in his father-in-law’s life in the space where that dash was. It also got him thinking about what he had done in his life that will one day be the dash on his headstone. This person happens to be an extremely generous person with his time, his wisdom, his philanthropic endeavors and is truly someone whom I would love to model my life after. He is fortunate to have a wife who shares the same wonderful qualities that define him. They both know that the dash will be full of everything great that they’ve done in their lives. 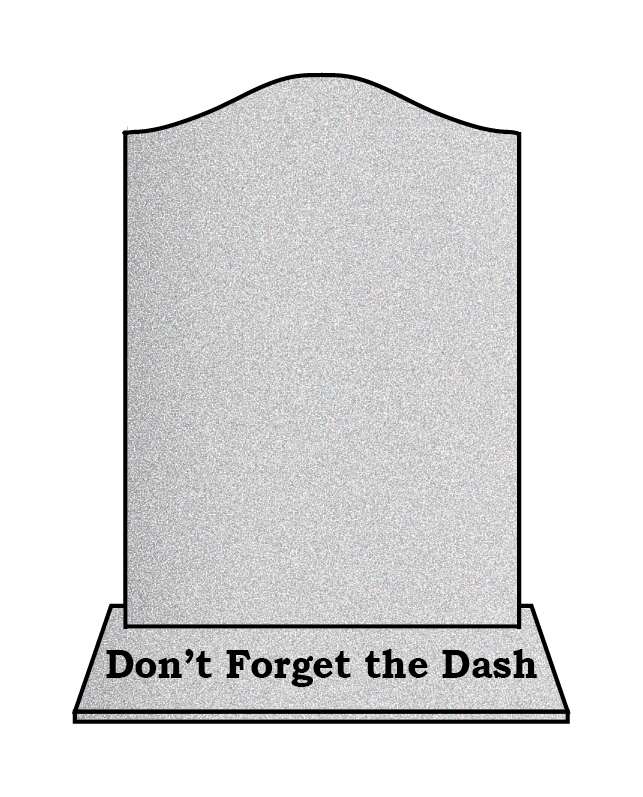 When I think of my own mortality (and hopefully that won’t be for a long, long time), I think about my dash. I have always been a very private person; not one given to making speeches or calling attention to myself. Over the past months, I have turned into an advocate for my husband’s diabetes management, especially with reference to his Continuous Glucose Monitor (CGM). I have blogged which is something that I had never envisioned myself doing. I have also been trying to aid whomever needs my help in navigating the Medicare Appeals process for CGM coverage and I have even been interviewed by Diabetes Forecast Magazine about our Appeal process in trying to get my husband a CGM. This interview will be a sidebar to an article being published about Medicare in the December issue of the magazine. Everything that I have been doing is in contrast to the way I lived my life before. I decided that someone needed to do something about the CGM guideline and so be it if that someone needs to be me. Recently I was with these two friends at a joyous but sad going away party. They are moving from our close community in Harrisburg, PA to Northern New Jersey to be closer to their family. His parting words to everyone at the party were “Don’t forget the Dash”. Those words will now stick with me daily and I will continue to try to fill in my dash and fight as hard as I can to get the Medicare guidelines on CGMs changed. I love the ubiquitous joke about “diabetic socks.” I didn’t know that socks could get diabetes. Ha! Ha! Ha! That joke has been around the block a few times. Although Best of the ‘Betes Blogs has added a category for the Best Comment of the month, I don’t want to see any comments questioning whether pants can get diabetes. Really, I mean it, no comments. Now that we’ve gotten the guffaws out of the way, I want to tell you about my new favorite slacks. 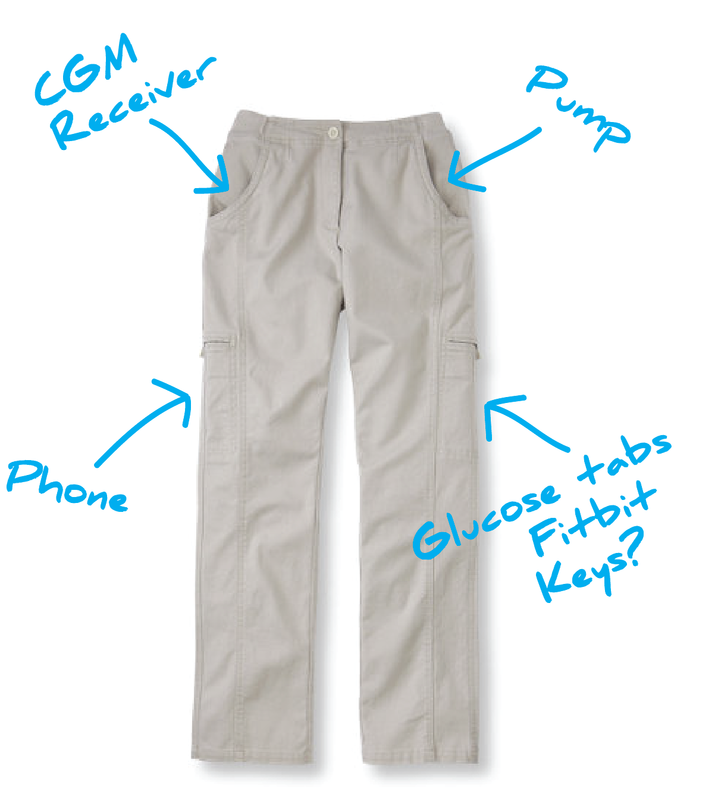 My aim in life is to keep my pump, CGM receiver, glucose tabs, Fitbit, and phone on my person at all times. Usually there are just not enough pockets to carry everything even if I’m willing to live with unsightly bulges or pants falling down because of the excess weight of my necessities. Occasionally I’ll use a SpiBelt to carry my pump and Fitbit, but I don’t find it comfortable enough for everyday use. And I never like the idea of lifting up my shirt to answer my phone. I wish that my hiking pants from REI weren’t so baggy, so casual, and well, just “so hiking” pants. They have tons of pockets but the look doesn’t translate to life beyond the trail. I’ve bought cargo-style shorts and cropped pants from Chico’s for several years. They’re OK, but in recent years the quality has gone down hill. They require ironing which is difficult because the seams shrink after washing and nothing lines up well. They are also lightweight and designed for spring and summer wear. I hit the mother-lode a few weeks ago when I discovered Comfort Cargo Pants at L.L.Bean. I’m sure the word “Comfort” is enough to scare away my younger and more fashionable D-friends, but I live in the Midwest and am approaching Medicare age. My standards are high enough that I don’t wear baggy sweatpants out to lunch and I thank Scott Benner, D-Dad and author of Life is Short, Laundry is Eternal, for reminding me to never let my fashion standards dip that low. But after that, practicality and comfort rate high in my book. The pockets work perfectly for me. Many reviewers criticize the top front pockets for being too shallow, but they are a good size and location for my insulin pump and Dexcom G4 receiver. I often use upper thigh locations for sensors and infusion sets. Deep pockets can result in my pump and CGM receiver bumping against the sites, so I often prefer more shallow pockets. The side pockets on the legs are deep and because of the heavyweight fabric, they are sturdy. My iPhone easily fits in one of the pockets with no sagging or risk of falling out. Glucose tabs, my Fitbit, and occasionally a house key end up in the other leg pocket. I haven’t used the rear pockets, but they could easily accommodate a small wallet. The color of my pants is Gray Birch which to me looks like a standard light khaki. I’ve ordered a pair in Sage, but they are back-ordered until late November. The third color is Navy which I probably won’t order. Unfortunately they are not available in black. The available sizes are 4-20 with lengths Petite, Regular, and Medium Tall. For me they are true to size and require no alterations. I am 5’9″ and the regular length seems fine. However, I have ordered another pair in Medium-Tall to see what I think of the longer length. L.L.Bean has another style of cargo pants made with a light stretch fabric and a draw string waist called Southport. I personally don’t like the styling of these slacks, but they have good reviews. Men will also find numerous options for cargo pants on the website. Now that I have done a blog post on fashion, it won’t be long until I start posting recipes. That statement should be worth a mention in the humor category of Best of the ‘Betes Blogs because those who know me understand that I hate to cook almost as much as I hate to shop. Disclaimer: No one asked me to write this review and I paid full price for my L.L.Bean merchandise. I did get free shipping. Before you get too impressed, check out the website. Everyone gets free shipping.